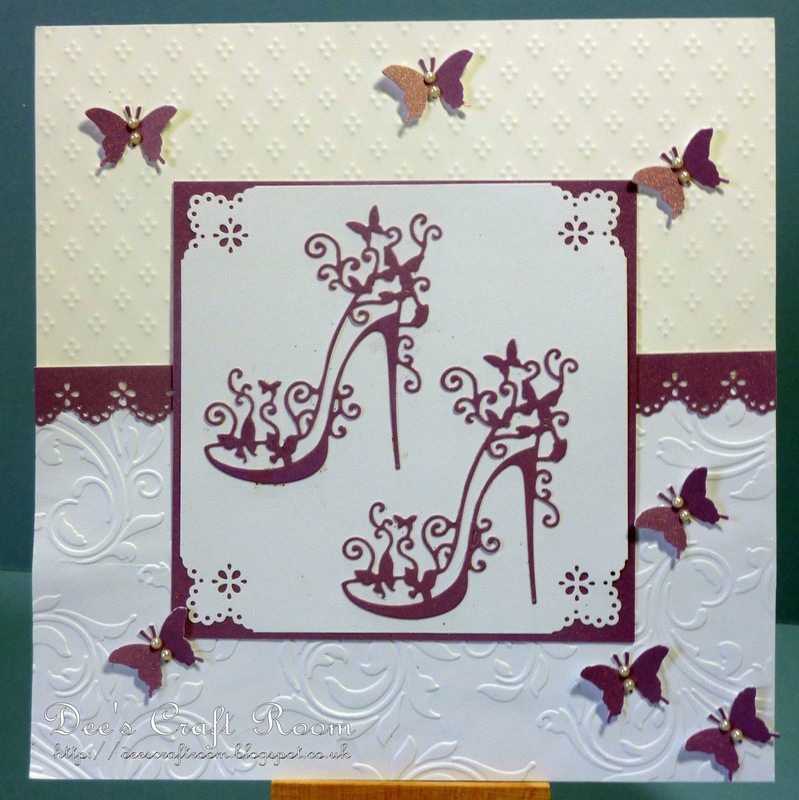 Over at Crafty Boots Challenges the current challenge is 'Die Cuts', it can be anything you like, as long as it contains at least one die cut. 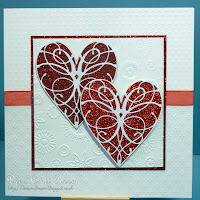 The first card I made for this Challenge featured the Tattered Lace stiletto die and my second the pretty Memory Box heart shaped die. As you can see, today's card is a marriage of the two. I chose two very different embossing folders to create contrast and I used the same colour pearl card as I had used to cut the stilettos shoes, to make the paper lace ribbon using a Martha Stewart punch. Both the corner punch and the butterfly punch I used on this card are also from Martha Stewart. Finally, I added a few tiny pearls to the butterflies. Don't forget to pop over to Crafty Boots Challenges and enter your own project into the Challenge.